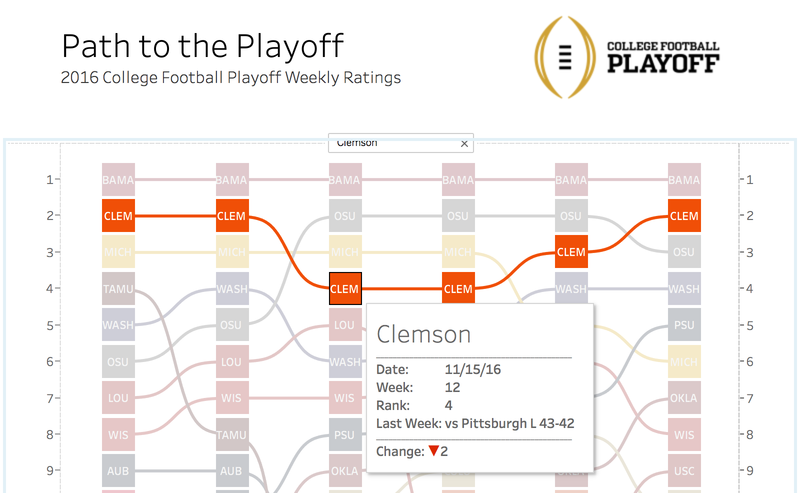 I've created this type of visualization for previous years AP Rankings, but I wanted to do an updated version for the College Football playoff ranking. I'd recently seen a post by Rody Zakovich on using sigmoids in bump charts, and I wanted to see if I could apply it to my design. 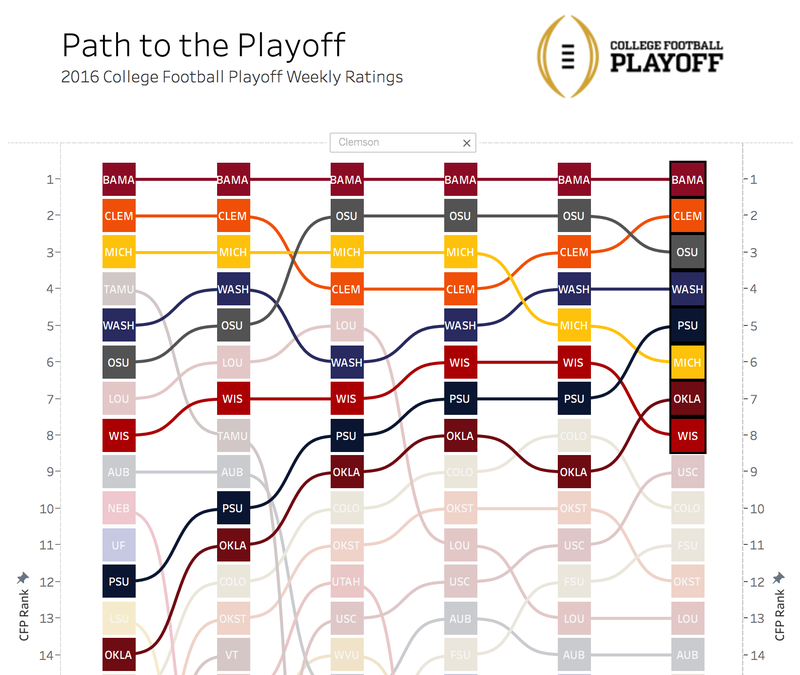 With this viz, I wanted to highlight the path of the four teams that have made the playoff. I also wanted to give users the ability to highlight their favorite team. Additionally, I wanted to add as much detail as possible to the tooltips. Notice the indicator for teams rising or falling in the ranking. I found it interesting to the see the path of the teams that missed out on the playoffs. There was a lot of controversy with Penn State not getting in while Ohio State did. 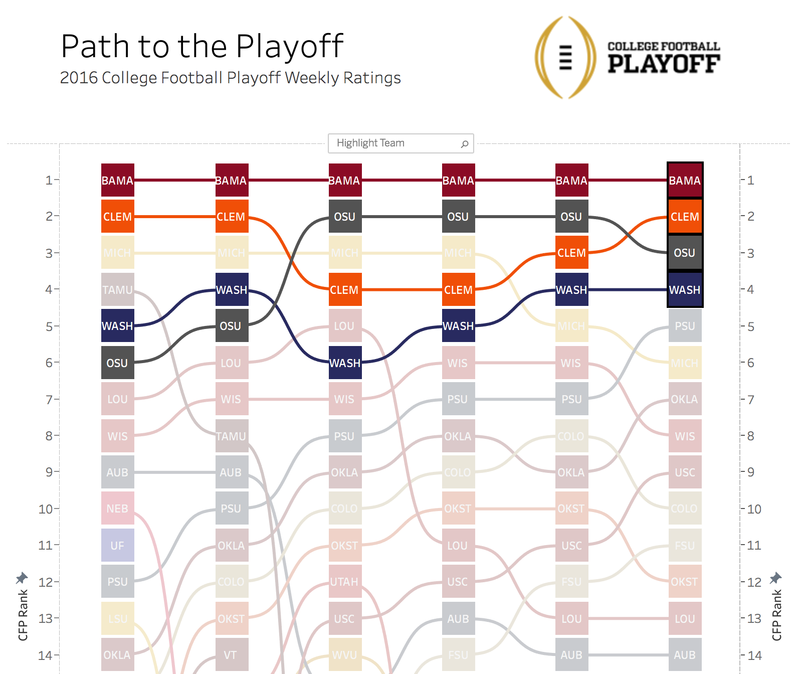 It was interesting to see teams like Penn State and Oklahoma State make a run to the top 4 after being outside of the top 10 in the initial ranking. You have to wonder if it is possible to overcome an initial low ranking in the poll, but I also expect to see the playoff expand to 8 teams over time.